Michael Graves is Professor Emeritus of Literacy Education at the University of Minnesota. His research and writing focus on vocabulary learning and instruction. His recent vocabulary books include The Vocabulary Book 2E (in press). Teaching Vocabulary to English-Language Learners (2012, with Diane August and Jeannette Mancilla-Martinez), Essential Readings on Vocabulary Instruction (2009), Teaching Individual Words: One Size Does Not Fit All (2009). 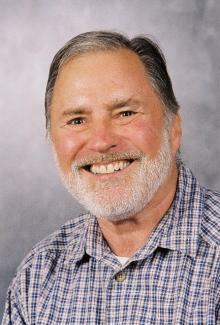 His current research focuses on (1) the development of word sets that can be useful to teachers, researchers, and publishers in selecting vocabulary to teach or to include in instructional materials and on (2) instruction in word-learning strategies such as the use of context, word parts, and the dictionary. He has served as a consultant for a range of government, nonprofit, and commercial organizations; as editor of the Journal of Reading Behavior and associate editor of Research in the Teaching of English; and on the editorial review boards for Reading Research Quarterly, Research in the Teaching of English, and Journal of Reading.